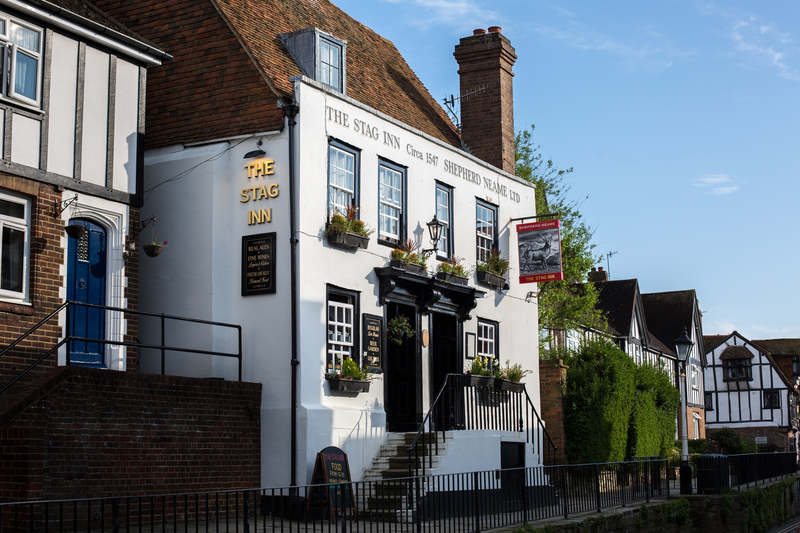 We are one of the oldest pubs still open in Hastings and the building is a feature of the town’s guided walks. You may be lucky enough to meet one of the ghosts reputed to frequent our establishment. A Dutch sea captain murdered by Hastings fishermen has been sighted in the cellar and there have been reports of a young girl dressed all in white, by the fireplace, on the upper floor. The back bedroom gives you goosebumps – most who have used the room have felt a presence …. The pub has historical connections with notorious smuggling gangs and characters from local folklore. In the cellar, there's a now-blocked entrance to a secret passage which led to All Saints church and was probably used by smugglers in the 18th Century, or as a bolt-hole during times of religious oppression. The Stag continues to hold strong associations with local traditions such as Jack in the Green and the Sussex Bonfire and Carnival. The tour guides will tell you about the famous "mummified” cats, found in a chimney during the 1940s and now on display in the front bar. This wasn't uncommon as cats were often used as a form of protection in old buildings and our cats protect the pub from evil spirits and harm. It is told that they once belonged to Hannah Clarke, a witch who is said to have occupied the Stag in its early days. Probably apocryphal but it’s a good yarn. The pub has a great history – it even gets its own Wikipedia page.